The 2019 Subaru IMPREZA. Built to last...built to protect...built to get you where you want to go. Mileage rated at 38MPG! Available in a four door sedan and five door hatchback. Both designs boast of a new Hi-Tech cabin with Apple Car Play, Android Auto, and Pandora integration. More spacious with 99.8 cubic feet of passenger volume in the sedan and 100.9 cubic feet in the 5-door. Available with Subaru's famous Eyesight Driver Assist technology, giving you an extra set of eyes every time you drive. The Impreza is the longest lasting vehicle in its class, owns the highest residual value in its class, and is the best selling AWD car in its class. 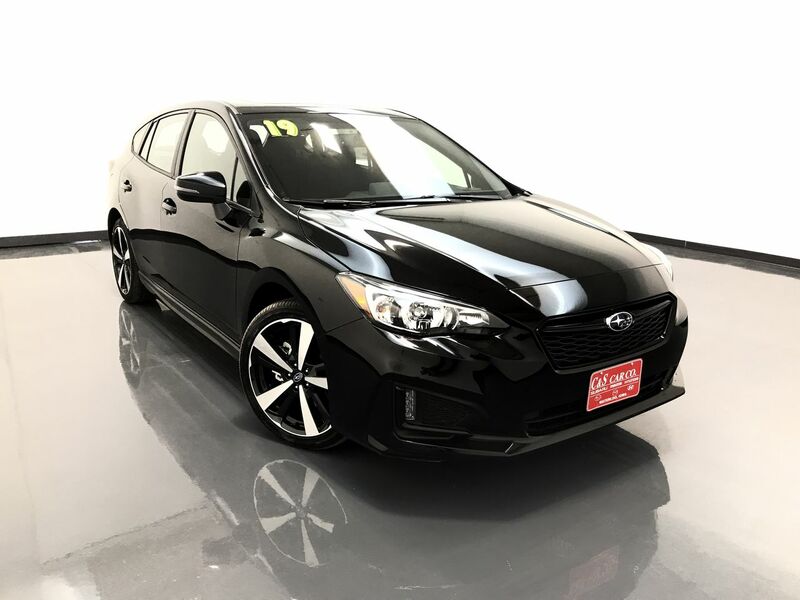 This IMPREZA 2.0i SPORT 5dr wagon has a Lineartronic Continuously Variable transmission, Power moonroof, Premium Audio System, all-weather floor liners, interior mirror with compass, cargo tray, and rear bumper applique. This Impreza is also equipped with Subaru's Eyesight Driver Assist technology which provides you with pre-collision braking, adaptive cruise control, lane departure and lane sway warning, pre-collision throttle management, blind-spot detection, rear cross traffic alert, and lane change assist. More than a car, it's a Subaru. Built to enjoy. Built to last. It's why 96% of all our vehicles built in the last 10 years are still on the road today. It's Subaru.